For many business owners, marketing and advertising are synonymous—flyers, ad slicks, billboards and the like. But the internet has changed the game. 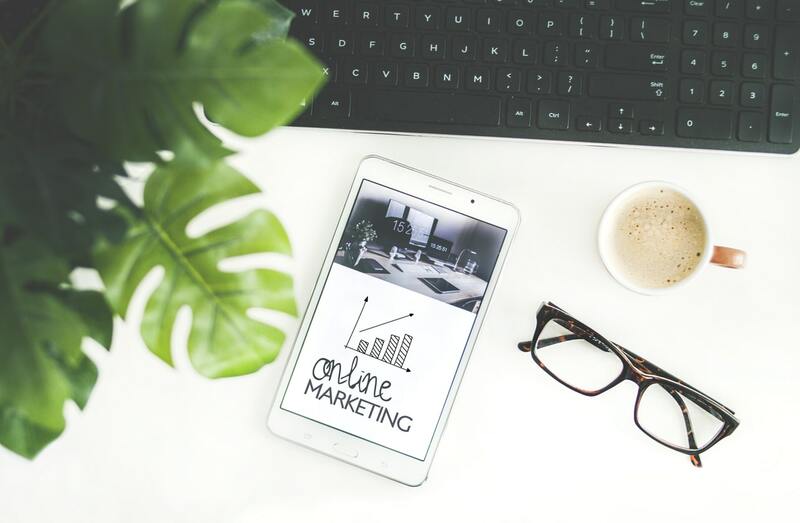 To be successful today, most businesses have to have an online presence because most buyers start their research (or buyer’s journey) by searching the Internet. It’s easy to make mistakes in online marketing. To ensure your Internet marketing efforts are successful, here are some of the most common mistakes to avoid. The customer must be shown the product and how it fills a need. The customer must be asked to buy. Ineffective marketing strategies typically break at these two points. Your product and web address need to be promoted at every opportunity. Optimize your website for search, promote your product on the home page, use social media channels to start a conversation about the problem your product solves. Don’t forget offline marketing, either—for your products and your website. A call to action is an important part of your marketing strategy. No matter how you are marketing, you still need to ask the buyer to take action: learn more, register, buy. A CTA can be as simple as a sidebar within a blog article to register for a related webinar or ask for a consultation. You should use a CTA at every step, because you never know when the customer will be ready to buy, and consumers may not buy unless they are asked. Make sure time-linked messages are running at the right time. You don’t want a Halloween message during your Christmas promotion. Use spelling and grammar check on all your content. Successful Internet marketing requires reviewing what your potential customer will see. Create a flow chart to determine how a potential customer navigates from the home page through the website, keeping user experience top of mind throughout the exercise. Follow this strategic course to review what the customer will encounter in relation to speed, branding, content, additional products and support and CTAs. For many online consumers, the worst part of web browsing is having to give personal information. Many sites require that you sign up or register before they provide access to information. The ploy is understandable because companies want to measure interest or have an opportunity to send more information in the future. You can accomplish this goal by asking for just a name and email address (or just an email address) to engage with the prospect in the future. You can then build a relationship with them so they are comfortable providing additional information in the future. If your business needs more than just an email address, only ask for information that is absolutely necessary to complete the registration process. A custom email address that uses your website domain gives your business increased credibility. When buying or renewing your domain, consider registering for a package that comes with a few email addresses. You’ll also want to register your domain for more than a year at a time. Domains that have longer expiration dates are thought to be more legitimate and might help increase your search engine rankings. Avoid spamming strategies. Send email only to people who have “opted in” to receive your messages (consider an opt-in campaign that encourages prospects to sign up for emails from you). Internet service providers can label marketers as spammers with just one questionable email. If this labeling persists, your business may be penalized in recommendation lists or search results. At the very least, your mailing goes directly into the Spam folder. Most email marketing software has a spam checker feature that helps keep your emails out of the Spam folder of those who have opted in to receive messages from you. Know the rules for commercial emails. The CAN-SPAM Act establishes requirements for such messages, gives recipients the right to stop emails, and explains noncompliance penalties. For example, businesses must offer an opt-out option and must honor those requests promptly. You can find more about the CAN-SPAM Act on FTC.gov. Major search engines are constantly improving their search algorithms to provide better, more relevant results for customers. Such improvements consider the quantity and quality of inbound links and social links to a webpage, grammar, spelling and formatting of the content, length of content, and outbound links. All these requirements necessitate a high level of professionalism in establishing and maintaining the content on your website. Finally, reviews and comments are always appreciated and should be encouraged; but they can also hurt your business. Make a point to respond to reviews publicly: thank people for a good review, encourage suggestions or address concerns; and if it’s appropriate, make amends to customers who post bad reviews. When responding, be professional at all times. Poor responses to poor reviews can negatively impact your reputation. Each day brings something new—new methods, new technology, new opportunities to interact and engage with customers. As you work to stay relevant and top-of-mind online, it’s important to stay true to your brand. Find what works for you and your customers, and learn from those successes (and the failures, too). Be mindful of new trends and changes in the online marketing world, track your online activity and adjust as needed. If you put in the necessary time and effort to get it right, you’ll be sure to find success. Site is live…what next? Much like any quality product, with updates and proper maintenance, your website can stay competitive online for years to come. At Arvig Media, we strive to add value and lasting impact of your investment through support and maintenance. With outstanding response time, we are here when you need us. Once the final design is approved, we get to the most exciting part – the launch! At Arvig Media, we take pride in providing custom website tailored to your business needs. Once we have all the assets we need, we begin the work of designing your website. A dedicated project manager will work with you and your team, providing regular updates and revisions until we have a final approved design. We’ll start by learning about your business, your customers, and your hopes for the website. From here a dedicated account manager will work with you. Our recommendations will be based on your business objectives and expectations for the project. Once set, we move towards the creative part. Leave your details below and we will get in touch shortly.